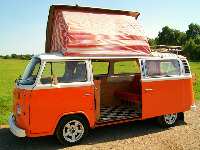 VW Camper Hire Company Description: Classic VW Campervan Hire based in Rutland. We have two vans available for hire for a week, weekend, wedding or festival. Each van is fully equipped with drive away awning, folding table and chairs and all the cooking equipment you need for the perfect retro holiday. 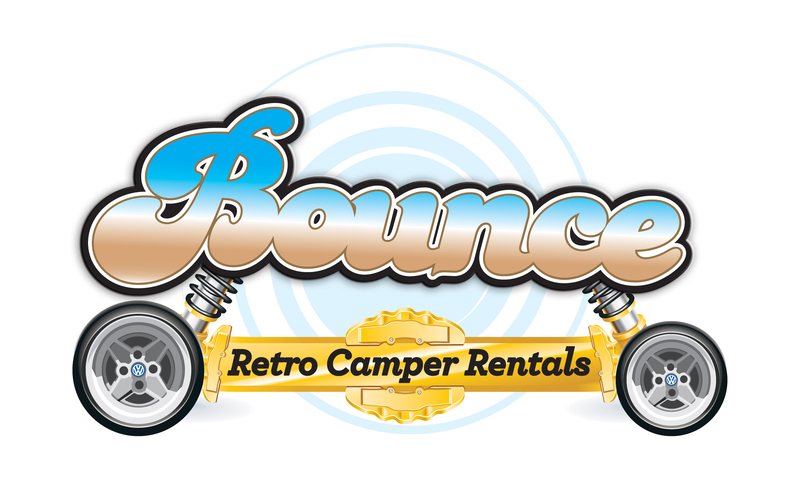 VW Camper Hire Company Description: Bounce retro rentals are a classic camper hire company based just 10 mins from the NEC Birmingham. 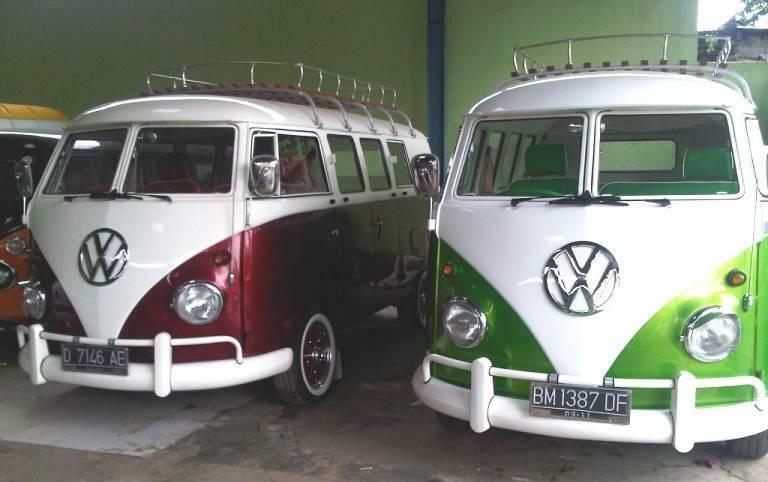 We have a small hand picked selection of aircooled volkswagens. More vehicles getting added to the fleet as we go. 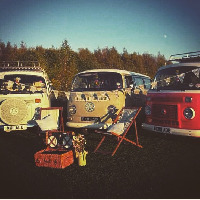 VW Camper Hire Company Description: Camper4hire.co.uk only hire classic, 100% original VW Campers and we now have a fleet of 4 VW campervans to hire across the UK, from the iconic 1965 split screen, to the classic Westfalia Continental 1974 bay window with super loud sound system. 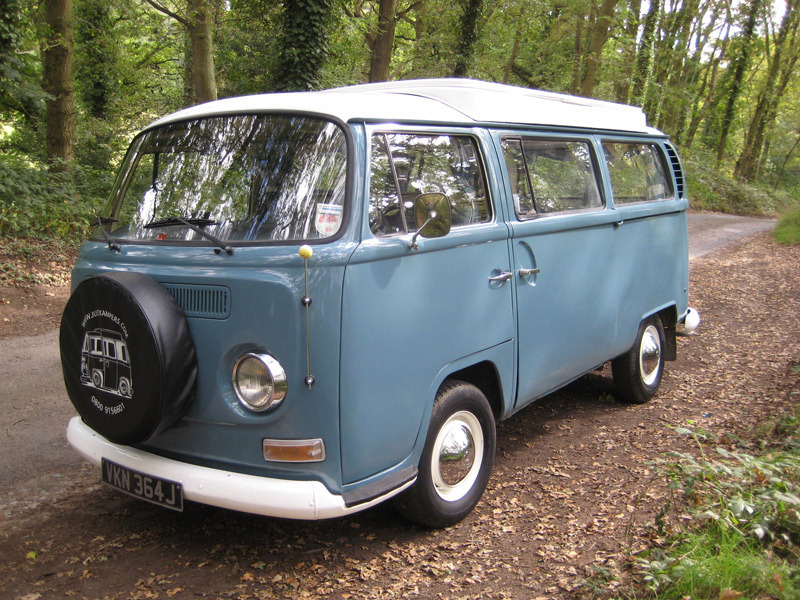 Unlike most other hire companies our 1960?s and 1970?s vans still boast their original interiors and have been carefully selected by us to offer that 100% classic camping experience. Based right in the centre of the country, you can take our vans all over the UK, with unlimited mileage and as many drivers as you like (thanks to our special insurance) and still stay one of cheapest in the business. 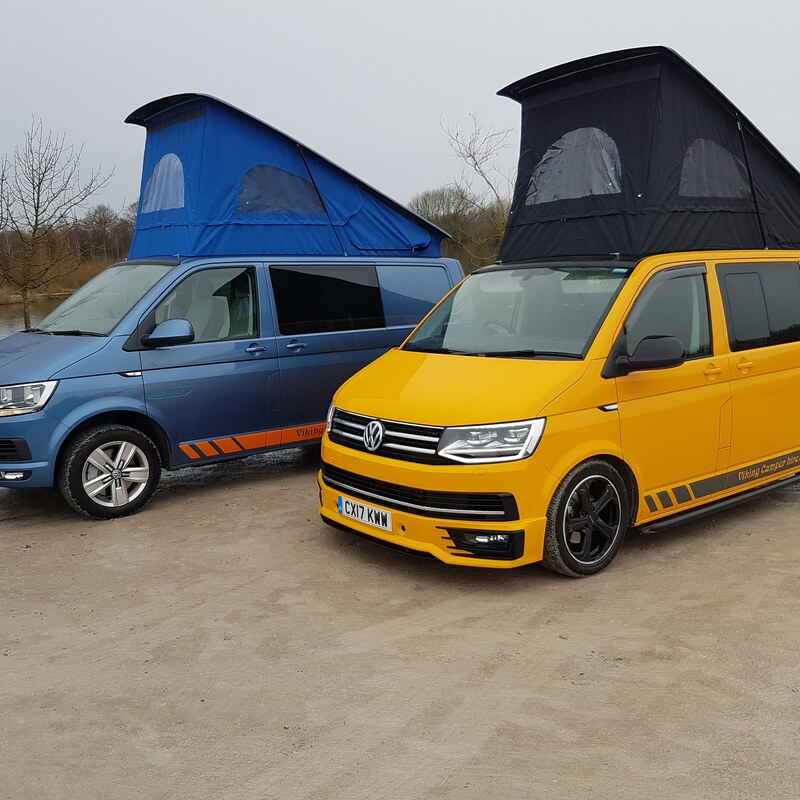 VW Camper Hire Company Description: The Scooby Van is a top of the range Volkswagen T5 Transporter, professionally converted for the ultimate driving / touring experience! 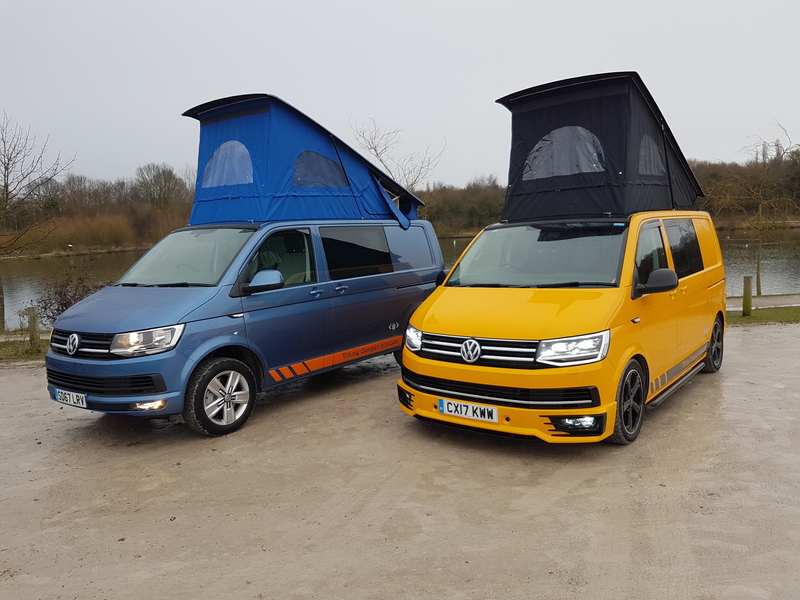 It has been converted and tested by a leading VW Conversion company; Autohaus VW Campervan Conversions of Somerset, who are specialist in their field for providing a safe travelling & camping experience for all the family! If you simply want to rent for a short break or longer holiday, please contact us with your needs and we will be delighted to set you up with a camper experience that will exceed your expectations. VW Camper Hire Company Description: Katie Camper is a classic 1972 Westfalia campervan with original interiors. If you have a desire to break free on the open road, then the coolest transport has to be a campervan. VW Camper Hire Company Description: We are a family run business who aim to provide a quality VW camper hire service with a personal touch! Whether you fancy a bustling City Break or or a relaxing week with the kids our camper will allow you the freedom to explore or holiday with fun! VW Camper Hire Company Description: We are a friendly,family-orienated company who hire out our fantastic retro,1970s VW Camper Vans.If you have never holidayed in a camper van before you will be guaranteed an unique holiday and unlike any other holiday,it starts the moment you turn the key!!! VW Camper Hire Company Description: Classic VW Campervan Hire / Rental in Staffordshire. 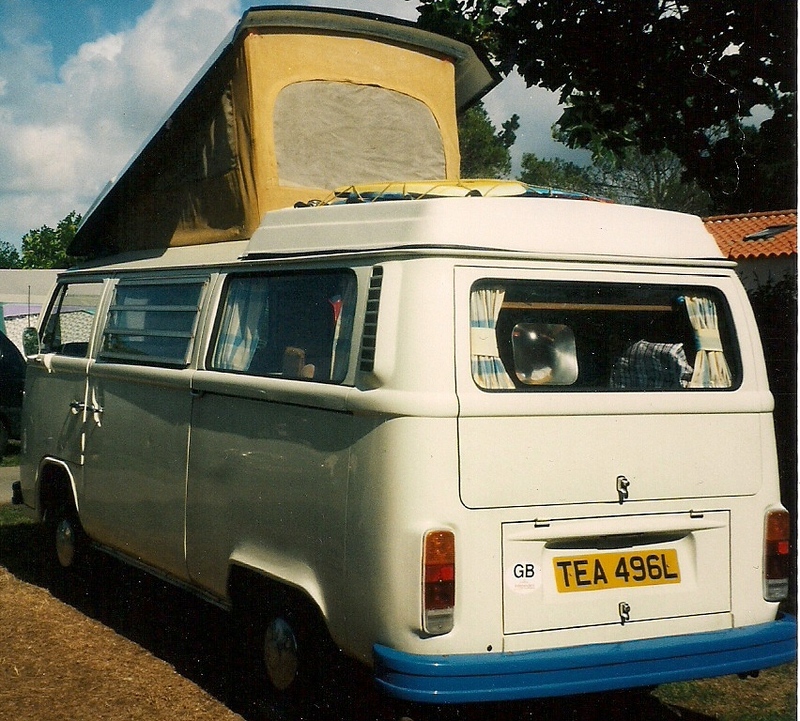 Cornelius is a 1970 Type 2 VW Campervan with original Devon interior and a pop top roof. You can hire / rent our classic VW campervan for your holiday or long weekend away and enjoy an authentic classic camping experience. 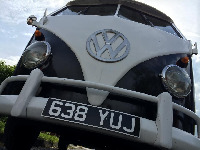 Classic VW Campervan hire couldn�t be easier. Our VW Campervan Hire is perfect for life in the slow lane. A chance to relax and unwind with a traditional camping holiday in classic style and comfort. Stand out from the crowd at any campsite or festival in the UK, with our original 1970′s VW Campervan. Based in Staffordshire we are in the heart of England. 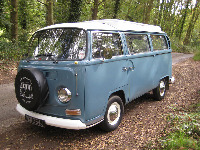 Staffordshire is an ideal starting point for your VW Campervan Hire. Within easy reach of the Peak District, Wales, Yorkshire, the Lake District, Norfolk and pretty much anywhere in the United Kingdom. There are also many adventures to be had locally in Staffordshire and around the Midlands if you want to do more camping and less road trip. 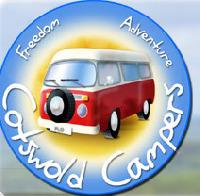 VW Camper Hire Company Description: Located on the Northern tip of the Cotswolds, in an area of true English beauty,only a forty-five minute drive south of Birmingham airport.We hire VW Type 2 Bay Campervans to people who embrace stylish adventure. As well as information about what we offer and what to expect, our website has numerous links that we hope will prove useful in planning and researching your once in a lifetime trip. 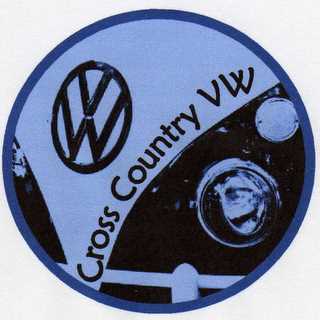 VW Camper Hire Company Description: Start your VW Camper Van adventure with us. We can be found in Shropshire, an area in our opinion, of outstanding rural scenery where England meets Wales. Choose from our Classic 1960's Split Screens, Retro 1970's Bays or Modern day T5's. Each vehicle has been sympathetically restored with a few hidden luxuries essential for camping!We take pride in ensuring that they are serviced regularly, well maintained, clean and welcoming for our visitors. Your vehicle can be parked whilst you are away in our secure undercover locked unit.Nesscliffe is approximtely one mile from the A5 (between Oswestry and Shrewsbury). Enjoy the classic style, relax in comfort and have the freedom to travel at your own pace. 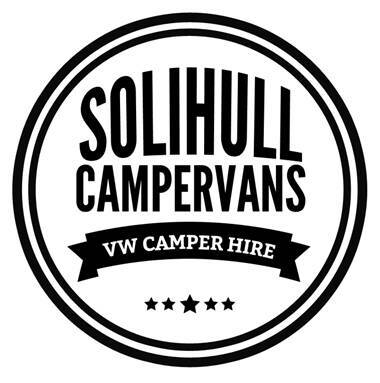 VW Camper Hire Company Description: VW Campervan hire based in the West Midlands. 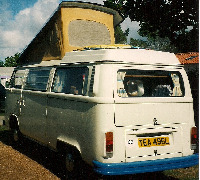 We have a T2 (bay window) for hire called Janet. She is a 4 berth van with a double rock n roll bed and 2 hammocks in the pop top. This van makes for a great family vehicle for all your camping needs. Janet has recently under gone a complete restoration inside and out and is now itching t get out on the road and see teh sights of the UK. We can cater for holidays, weekends away, festivals, self drive wedding hire and much more. If you can think of a reason to hire a campervan I am sure Janet will be only to willing to provide her services. 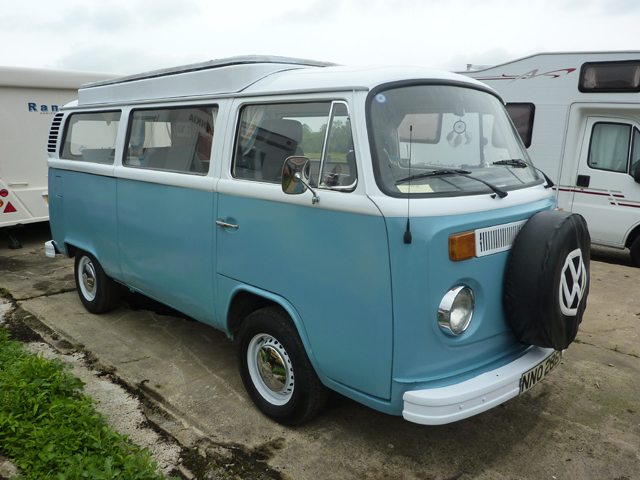 VW Camper Hire Company Description: We are a small family company based in Malvern. We offer brand new but retro VW T2 campervans for hire, luxuriously kitted out with everything you need for the perfect glamping holiday. We pride ourselves on our personal service and attention to detail. VW Camper Hire Company Description: Midland Camper van Hire provides motor campers from classic VW bay window doormobiles and devons to modern Mazda bongos an Larger motorhomes. The pop tops are able to carry 4 people in comfort, and sleep up to 6 with an optional awning pack. The Mercedes can carry and sleep 6 in comfort. 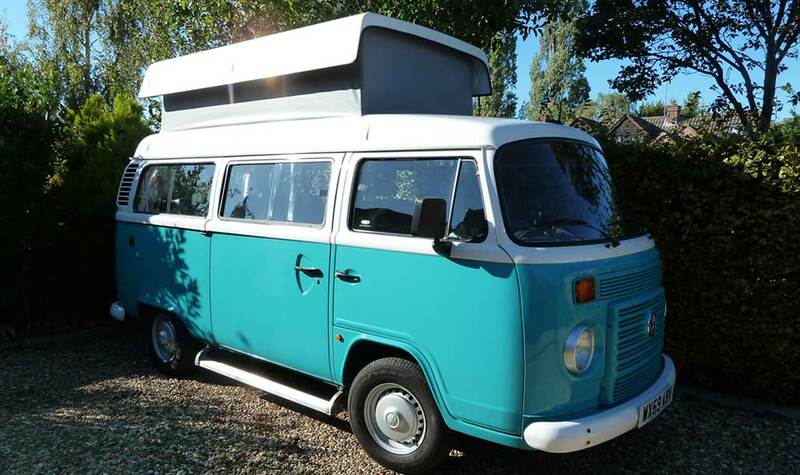 VW Camper Hire Company Description: Minty is a family owned VW Brazilian Bay Campervan built in the classic Volkswagen T2 Transporter style and available for self-drive hire for destinations throughout the Midlands, UK and Europe. VW Camper Hire Company Description: We hire new VW Campervans. Retro style with modern reliability. When did you last grin until your cheeks hurt ? What makes these style icons so appealing to people of all ages ? For some it?s the freedom and spontaneity of watching a sunset somewhere different each night from your cosy retreat. Perhaps re-creating the summer of love, even if you are old enough to know better. Whether revisiting old memories or creating new ones for those you love most you can be sure to find miles of smiles. 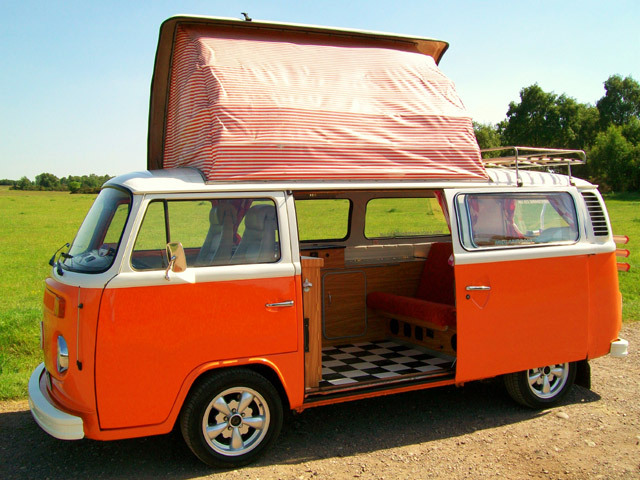 There are so many things you can do with a VW Campervan, please see some of our suggestions. Whatever you do, you will do it in relaxed style and with the admiration of all those you meet. Don?t take our word for it. Find out for yourself. Do something different. You won?t want to give it back? We are based near Hereford within easy reach by car of the M5, M50 and A49 (we will securely store your car for you at no extra cost) or via train with a free pick up service from Hereford and Ledbury stations. VW Camper Hire Company Description: At SB2 Campers we have Bay Window,T25 and T4 campers for hire as well as a modern Renault Trafic campervan.All the campers are 4-berth and come equipped with cooking equipment and tableware.We also have drive away awnings,bike racks and camping toilets available for hire.We are located on the border of Leicestershire and Warwickshire with easy access to the A5 and the M1/M6 motorways. 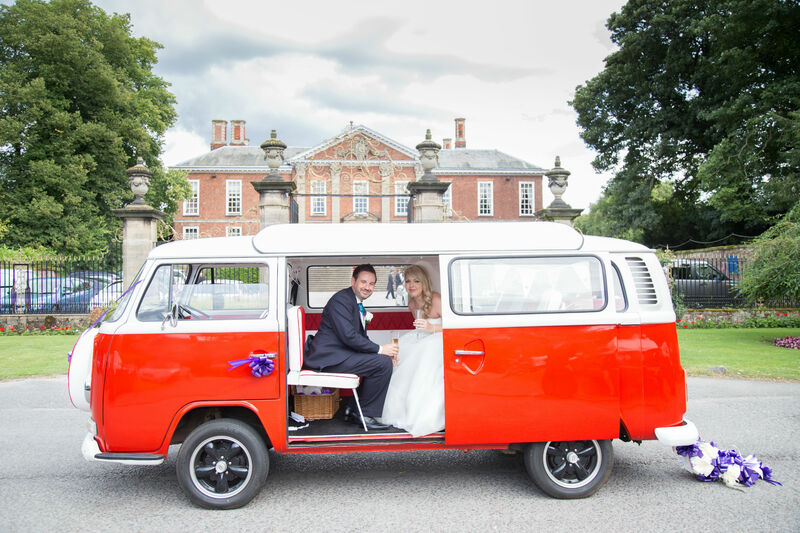 VW Camper Hire Company Description: The finest splitscreen wedding campers to arrive at your wedding in funky retro style. Matching cappuccino and cream coloured with spectacular spacious L shaped rear seating making sure all are captured in your once in a lifetime photographs. If you deserve the best for your special day then get in touch. 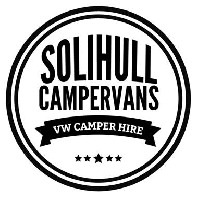 VW Camper Hire Company Description: We are a home-based, family business located in Shirley, Solihull, West Midlands. Our campervans are custom built with two complimentary groups in mind: families and outdoor adventure seekers. Accommodation for 2 adults and 2 kids, great levels of equipment, practicality and safety and the highest standards all make for a perfect trip whether you�re looking for a long weekend, mid-week break or two weeks on the road. Close to the M42, M40, M5 and M6 our location offers a great starting point to trips to Lake District, Peak District, Wales and the South West. 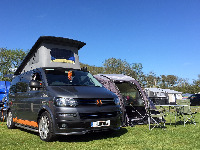 Feel free to call us for a chat about campervans or come and see if what we�ve got will work for you. 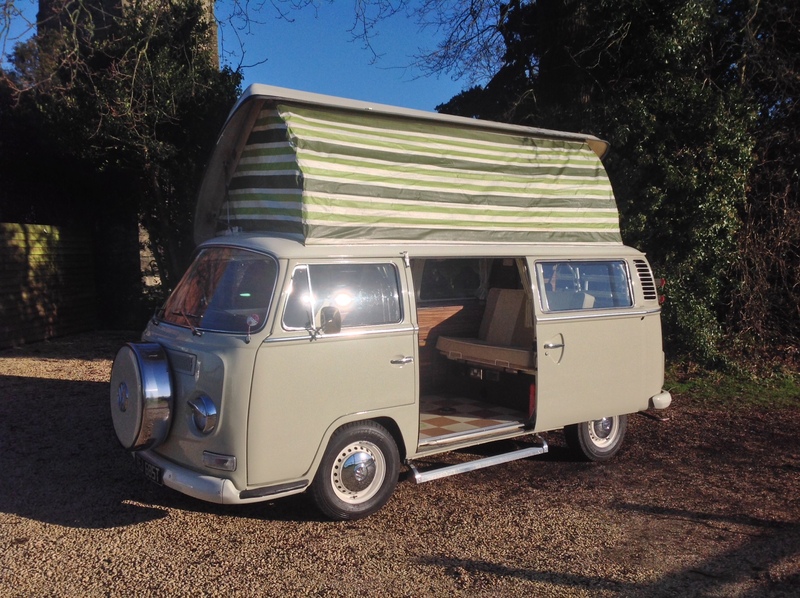 VW Camper Hire Company Description: Classic T2 VW Camper Hire, from early campers to late model luxury Danbury Diamond T2 Campers, including chaffeur driven wedding hire. VW Camper Hire Company Description: Vw Campervan Hire offer you our Beautifully restored Classic 1970's VW Camper van's to escape the Hustle & Bustle of the rat race and take control of your Holiday, Weekend, Wedding Day, Birthday Treat, or Honeymoon, Festival, Prom night, Mountain Biking, Surfing, Bird watching etc? the list is endless. Based at the gateway to Mid Wales, Hereford, close to the M50, M5 and A49, we are ideally located to travel all over Wales, Shropshire, The Forest of Dean, The Wye Valley, Midlands and The Cotswold's. So park your car with us, relax and enjoy your VW Camper experience. VW Camper Hire Company Description: Welcome to VW Retro Rentals, the place to hire both new and lovingly restored VW campervans from our base in the Midlands. 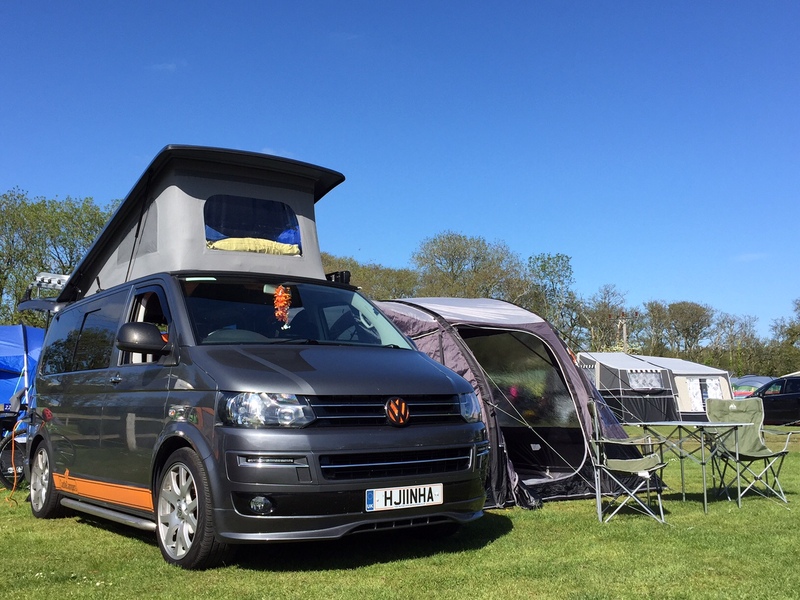 We supply fully-furnished and well-maintained Type 2 Bay window campers for Festivals, UK & European trips, Weddings, Proms and Media Promotions. Build your own camper packages keep our prices very competitive and we offer a flexible and personal service. Cars can be left with us free of charge during a hire. Promotions and offers available throughout the year. 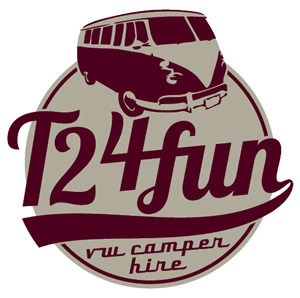 VW Camper Hire Company Description: Est 2011 we are a family run VW camper van hire company. Consisting of three very different vans. We can cater for any request.